A young person’s body cannot cope with alcohol the same way an adult’s can. Drinking is more harmful to teens than adults because their brains are still developing throughout adolescence and well into their mid 20’s. Underage drinking during this critical, adolescence growth period of life can alter your brain development, potentially causing lifelong damage in brain structure and function. Drinking as a youth may cause cognitive or learning problems and/or make the brain more prone to alcohol dependence. This is especially a risk when people start drinking very young and drink heavily. 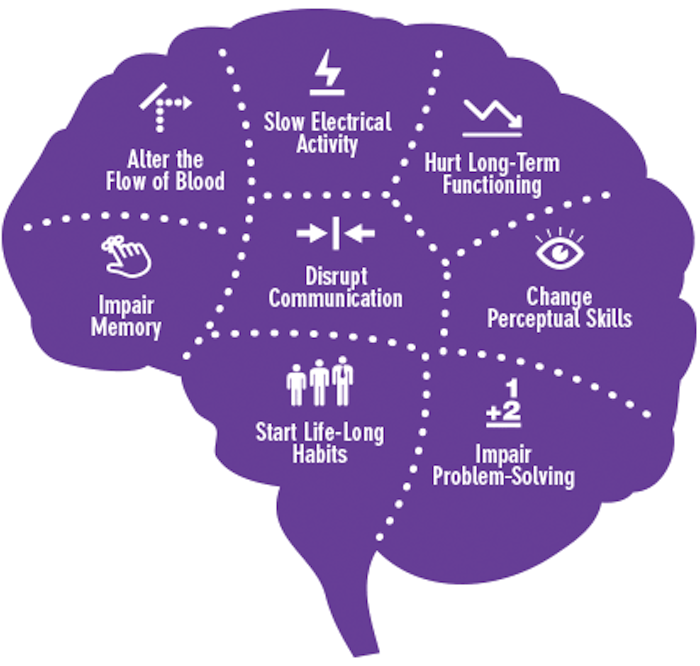 When teens drink, alcohol affects their brains in the short-term– but repeated drinking can also impact the brain down the road, especially as their brains grow and develop.